Investor's Resource - Matt Leahy | Finding true wealth with intelligent design and principled investing. 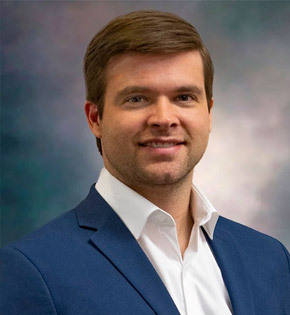 Matt Leahy, an Associate Wealth Advisor, is a Huntsville native who studied Finance and Portfolio Management at the University of Alabama in Huntsville. He services existing clients as well as develops new wealth management business. He believes integrity and transparency in this business are key to having the best client relationships. Matt participates in the Investment Committee and oversees the Outside Account management program, which delivers advice on assets like 401k’s and TSP plans outside our company. He enjoys helping a select group of engineers, business owners, government contractors, have a clear plan for retirement or other financial goals. Matt is also a strong believer in being disciplined and is constantly setting new goals for himself. Besides holding his Series 7, 66, and Health and Life insurance licenses he has his AAMS® certification and is currently studying for the CFP® certification. His favorite quote is “Do things that failures don’t like to do” – Stephen R. Covey author of the 7 Habits of Highly Effective People. He and his wife Lina met on the tennis courts at UAH and continue to play at a high level on local USTA leagues. Other hobbies include golf, snowboarding, and hockey.